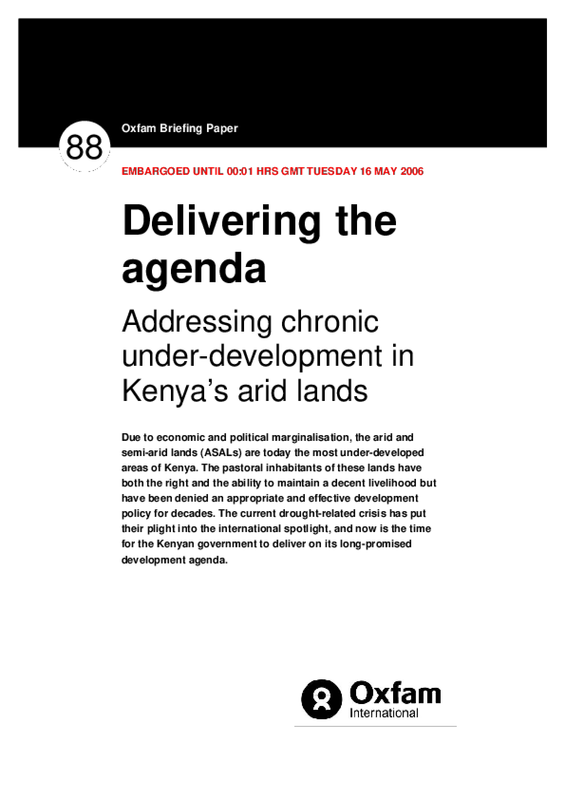 Due to economic and political marginalisation, the arid and semi-arid lands (ASALs) are today the most under-developed areas of Kenya. The pastoral inhabitants of these lands have both the right and the ability to maintain a decent livelihood but have been denied an appropriate and effective development policy for decades. The current drought-related crisis has put their plight into the international spotlight, and now is the time for the Kenyan government to deliver on its long-promised development agenda.